Who doesn’t love art created by children? Grandparents and parents certainly eat it up! Our Original Works fundraising program can prove to be a great boon to your synagogue fundraising efforts by taking the original art work created by your younger members and turning it into art suitable for framing and/or placing it on coffee mugs, tote bags, computer pads, calendars and more.The parents and grandparents – even family friends – will want to purchase these items, helping you raise funds for your synagogue’s youth programs. 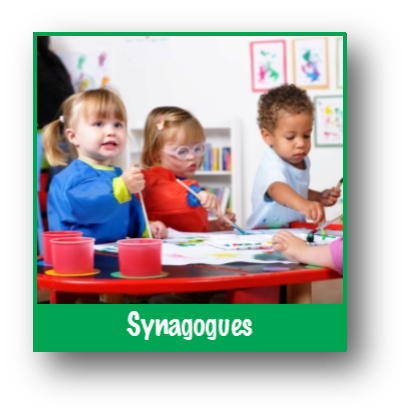 Synagogue Fundraising works:Children in your Temple create artwork – perhaps as part of one of their religious education or youth group classes. We provide free paper, art lesson plans, and marketing materials so that your volunteer leaders can focus on creating the artwork. For complete details on our religious fundraising options, contact us today. We look forward to working with your synagogue!